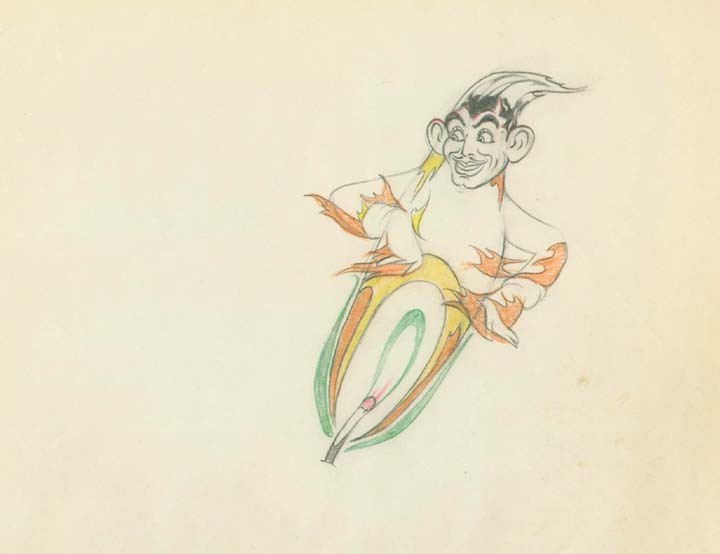 This is an great animation drawing of the flame as Clark Gable from the Silly Symphony short Moth and Flame (1938). This one has lots of great color pencil work. The untrimmed drawing measures 10" x 12" and the image measures 5.75" x 6.75".